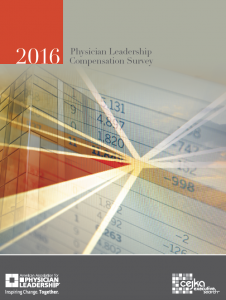 This biennial compensation survey is done in conjunction with The American College of Physician Executives and Cejka Executive Search. 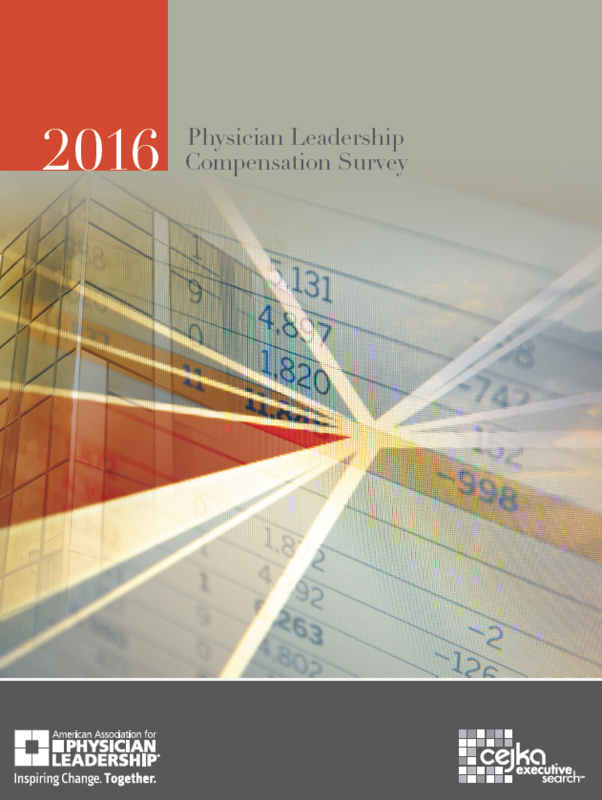 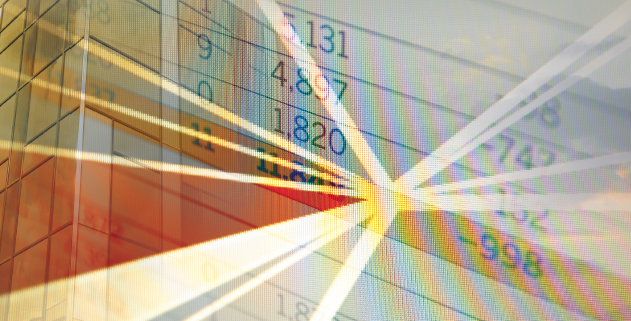 Since 1996 this survey has been the definitive benchmark for physician executive compensation. 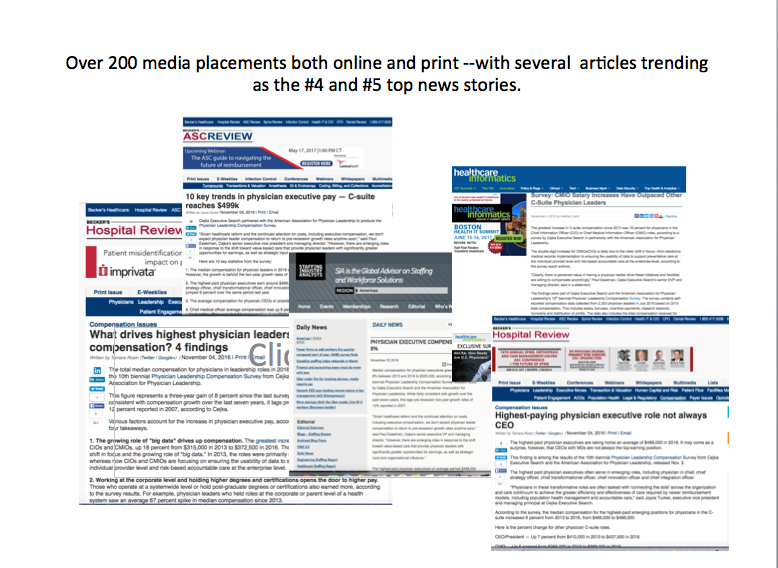 Not only is the piece a key tool for HR and Leadership, its initial released gain over 200 media placements and several articles placements which trended as the #4 and # 5 top healthcare news stories. 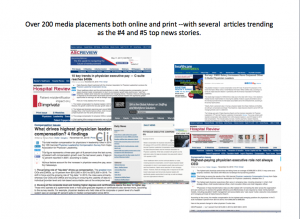 It continues to gains on-going press exposure and articles on the topic of physician leadership compensation.